We carry a wide variety of accessories for your Janome sewing or embroidery machine. Including a wide selection of presser feet to handle any task, and embroidery software to create beautiful works of art. 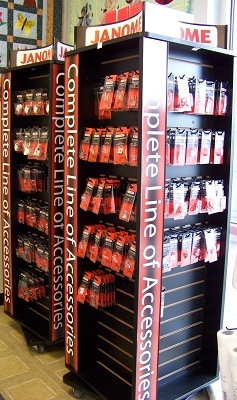 Stop by the shop today to find the perfect accessory to enhance your Janome sewing experience. Or give us a call at 615.295.2998!